Elevate the buffet presentation at your hotel, restaurant, or catered event with this 6.5 qt. 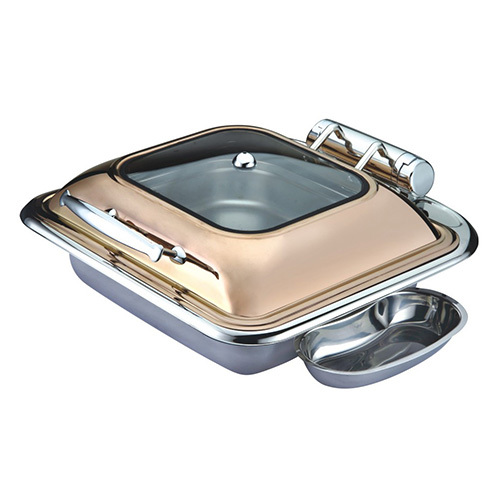 stainless steel chafer with hinged dome cover.The item's heavy-duty, 201 stainless steel construction boasts a sleek, contemporary look and is lightweight, yet durable enough to provide effortless transportation, set-up, and tear-down.An elegant dome cover is attached with a hinge to keep your food warm and covered at all times, while the design also works to combat cross-contamination by preventing lids from being removed and placed on your table or counter during service. 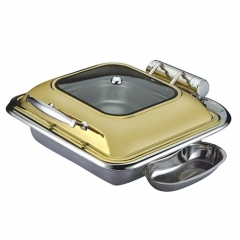 At the end of your meal period however, the lid and food pan are both removable for easy cleaning. Guaranteed to create a professional, polished display, this chafer also boasts an integrated drip-free feature to keep your tabletops clean from spills and messes. 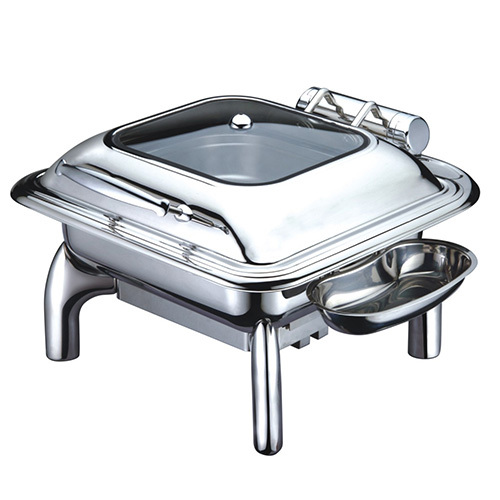 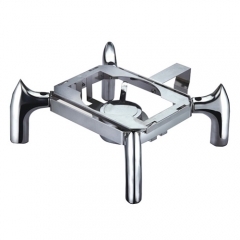 Plus, this chafer's square shape enables you to optimize your serving space and neatly position square chafers side-by-side.The slowed letdown mechanism and hydraulic hinged feature locks the lid at 180 degrees, ensuring quiet, service as the lid will not bang against the chafer dish upon closure.